Special thanks to Ilya K, wontrice, and everyone else who contributed to this piece. Them: Hey, could I write something about Gods Unchained for your website? Them: I just heard about it! It’s a new blockchain card game. I wanted to write an article about it because there is a 10% kickback for people who use your referral link. Let’s stop right there. Friends, if you are trying to pitch an article, the rational of “I want to make a lot of money” is not particularly convincing. In fact, it is incredibly sketchy, and this10% kickback from referrals sounds like a pyramid scheme. While this was a turn-off for running a fluff piece about Gods Unchained, it piqued my curiosity, and I decide to start researching to see if my initial reaction was warranted. The more that I looked, the more that I found troubling, until I decided I would write on the subject myself. Was Gods Unchained a scam? Let’s find out... but first we need to quickly talk about blockchain gaming. If you are a regular on the internet, you have likely heard about blockchain and cryptocurrency. For the purposes of this story, I am going to keep things as simple as possible, which isn’t that difficult as you don’t really need to understand much about blockchain to follow what is happening. Still, let’s run through a one-paragraph refresher. Cryptocurrencies are digital currencies that use a technology called blockchain to track who has how much of the cryptocurrency. Essentially, every trade within the system is recorded in the “blockchain”, and this record is then decentralized among all the users. This makes it impossible, for example, to just add Bitcoin to your account, since the record that everyone else keeps would show that their account had too much Bitcoin. You own the game asset outside of the game - No longer are your items, cosmetics, or cards locked inside the game; you can trade them or manage them on separate exchanges. For example, imagine you find a super-sword in a blockchain RPG. You could transfer that super-sword between accounts/characters, loan it to your friend, sell it on an exchange, or even trade it for items in another game. The company could do nothing to stop it. Immutable – Since you own these objects, no one gets to change them on you. The game company can’t ruin your favorite item or card through a balance patch, as your assets aren’t under their control. You are immune to the nerf bat! I’m not 100% certain this is intrinsic to blockchain gaming, or if it is merely a feature of many blockchain games, but it is a common feature. Items track their history – You would be able to know who originally acquired an item, and who has used it since then. This would be particularly neat for having items “signed by” famous personalities - You could 100% verify that a given item was used by your favorite player to win their biggest game. Provable rarity – It is hard to get excited about game assets when you know everyone has them. Sure, Legendaries are cool, but you how many of them actually exist in the world? Thousands? Millions? With blockchain gaming you can actually track how many exist in the world. This makes things feel a bit more special, and helps you make informed trades. It is also possible for games to put a cap on the cards that are available. With a combination of these features, there is plenty of neat tricks blockchain gaming could potentially pull off. While I have some issues with the blockchain games that are currently available, there is interesting space for game designers to explore. Still, adding blockchain to a bad game will only give you a bad game with a complicated backstory. Blockchain and cryptocurrency are buzzwords, so one can imagine companies might use this fancy lingo to scam players. With that said, let’s get back to Gods Unchained. Gods Unchained is a trading card game that is mechanically similar to Hearthstone. When you go to their website, you will be immediately hit by their stunning animations and incredible polish. As you scroll down you will see a big counter showing the amount of money raised for the tournament planned for the winter of 2019, which as of this writing stands at $330,000. 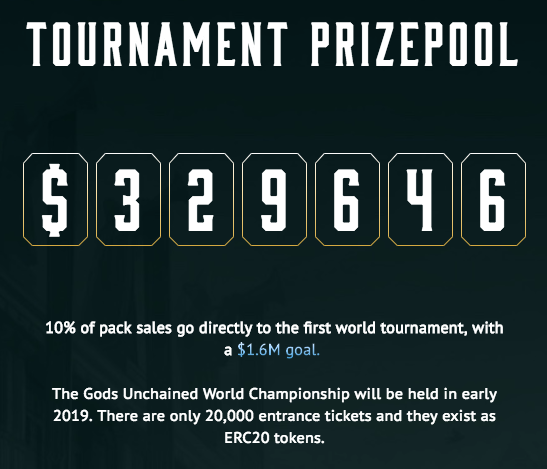 That money is raised from pack sales, 10% of which goes to funding the prize pool, implying they have already sold millions of dollars’ worth of cards. You will also find information about the one-of-a-kind Hyperion card. This sold for over 60,000 USD, making it the second highest priced trading card of all time. It may take you a few minutes before you realize the game isn’t released. In fact, there isn’t a beta, a demo, or even gameplay footage. As of right now very little is known about the “game” Gods Unchained, yet people are spending hundreds or thousands of dollars on cards. Over $1 million dollars’ worth of cards were sold before August 17th. How is it selling so much before the game is even out? Part of the reason may be the limited supply of cards. Apparently, there is only a fixed number of certain cards available, creating stress for anyone who doesn’t want to be left out. Maybe it is the use of buzzwords like “blockchain” and “e-sports” that pushes people over the edge? One way or another, this isn’t just some generic Hearthstone clone that is hoping to make a couple bucks on the app store – people are investing serious money in this game. There is some unusual stuff going on here, so I am going to unpack it. I am not going to pretend to be an expert in cryptocurrency or blockchains, partly because it isn’t necessary. I don’t think the technical aspects of blockchain gaming are particularly important parts to this story. At the end of the day, this is a card game, and if we can analyze this as a card game, there is a plenty to be worried about. I am going to focus on three fundamental issues: history of the company, card design/balance, and the promises of the game. With all that laid out, let’s talk about Etherbots. The best place to start when discussing Fuel Games is their first game, Etherbots. This launched way back in… checks notes… March 2018. The game made some noise within the crypto community as it generated a decent chunk of change around its launch. This was a game built around battling Robots that were constructed from parts that could be bought and sold on the blockchain. Let’s take a look at where it is now, 6 months later. Between 2-14 users per day in the last month according to Dappradar. There has been about 1 post per month on the Reddit over the last three months. The last update on the official Twitter was in May. This is a dead game if I have ever seen one, which is quite alarming as it launched about 6 months ago. I reached out to find players who had played the game, and discuss their experiences. Their insights were illuminating. Of those that I talked to, there seemed to be two camps. The first group were players who tried the game briefly, realized how expensive it was to play, and quit shortly thereafter. The second group were players who actually invested in the game, most of whom spent hundreds or thousands of dollars on the bot parts. I was honestly shocked how easy it was to find players who had spent so much money. While these enfranchised players described mixed feelings about the whole experience, they could certainly point out some serious issues. The title was just expensive to play on a game-to-game basis. Given the platform they were using, Etherbots cost money for each game and transaction. It was difficult to “sell out” of the game when things started going downhill, as demand for parts dried up quickly once the game entered a death-spiral. The game was essentially dead by the end of May. Developers had missed goals/deadlines for updates and improvements multiple times. They did enjoy playing the game when they could, though it has been difficult to find a match for a while. When I asked these players about playing games by the same publisher in the future, the feelings were once again mixed. One player who seemed particularly invested expressed faith in the developers, attributing the shortcomings of Etherbots to limitations of the platform, and saying the development team was doing their best. They also had hope about the “Etherbots 2” relaunch that is planned, could solve the technical problems that hamstrung the original. Others expressed frustration with how things went down, saying they would have a hard time trusting Fuel Games again. Overall, it is hard to look at Etherbots objectively and say it was anything other than a failure, which cost its players a good deal of money. Perhaps one of the issues was the developers’ divided attention between Etherbots and Gods Unchained? On that note, let’s get back to Gods Unchained. As mentioned above, Gods Unchained is mechanically similar to Hearthstone. There are several classes, they have hero powers, there is no land system like Magic: the Gathering, and combat utilizes an “attackers choose” system. To be clear, I don’t think there is anything fundamentally wrong with using Hearthstone’s core mechanics – people are familiar with them, and they can be remixed to create a game that is meaningfully different. Take Shadowverse’s “Evolve” mechanic, or The Elder Scrolls Legends’ two lane system – these add a unique spin on each game, and enhances the depth of the strategy. As far as I can tell, the unique spin for Gods Unchained is allowing each class to have access to a range of hero powers. This sounds interesting, though there is very little known about these hero powers. Although more information is needed to meaningfully discuss the classes, we know a lot about the cards! They have actually released a fairly large card gallery, though I understand there are some cards that are not included. Still, as I looked through, there were some deeply problematic themes I noticed very soon. I quickly noticed a number of cards that resembled cards from Hearthstone. “Resembled” might be too light a word, as there are several cards that are virtually identical. 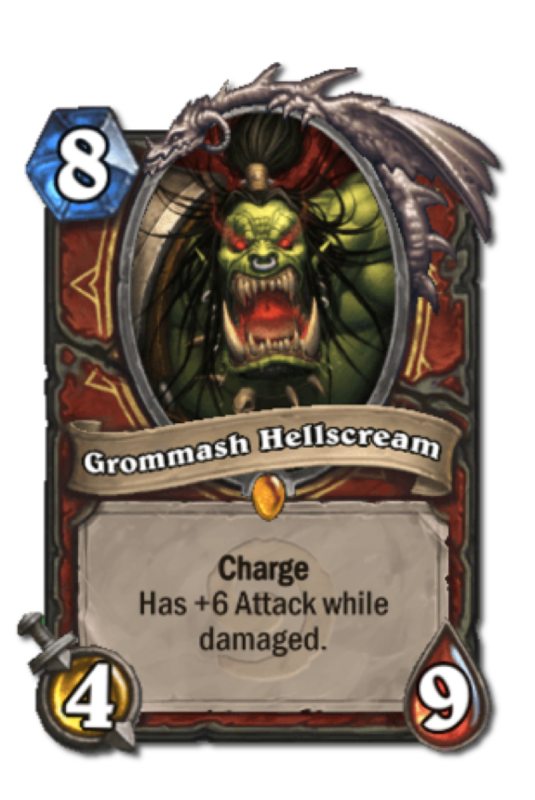 I’m also not talking about generic designs like “Fireball” or “Twisting Nether” – some variant of these cards can be found in virtually any card game. What I am talking about are cards that have unique abilities, sometimes with the exact same cost and stats. Revenant Lynx seems like the most obvious example. 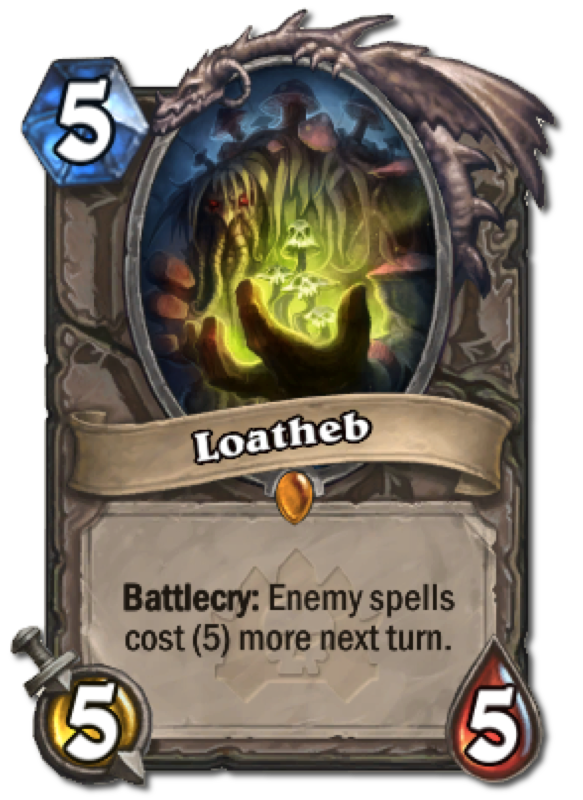 In case you were wondering, “Afterlife” means the same thing as “Deathrattle”. These cards have the same cost, the same stats, the same ability, and even similar flavor. The flavor is particularly crazy to me, and it is very hard to believe they came to such a similar design simply by chance. While this example seems quite brazen, there are many more. (”Roar” means the same thing as “Battlecry”, “Charge” means the same thing as “Blitz”, and “Whenever you use your God Power” means the same thing as “Inspire”). Similarity to Hearthstone cards might reflect a failure of originality, but it is not necessarily a sin in terms of gameplay. This takes me to the second issue I noted in the card file: randomness. While I think some cards with limited random effects can be fine, Gods Unchained has a ton. Here are a handful that I pulled together without much effort. The set looks “very suspicious” given similarity to Hearthstone. Some of the mechanics were “unintuitive” or “sketchy”. Sloppy templating, such as inconsistent wording on cards, mechanics that haven’t been defined, and creature types not being listed on the cards. I understand that the game is still under development, but if you are showing off cards you have to imagine that the development team likes these designs, and these cards are going to resemble cards that make it into the final game. Sure, there will be changes, but are they going to be reconfiguring the entire set? Even if the company avoids legal confrontation with Blizzard, I just don’t feel the card file is compelling. Poor card design may be a problem for competitive play, but I think complications around game balance are even more serious. If you recall from the top of the article, I talked about immutability as an advantage to blockchain games, as it means your cards are “unnerfable”. While this is a good thing for players that own the most powerful cards, it leads to some potential disasters in terms of balance. While every member of Twitch chat may see themselves as a card design guru, card design and balance are actually really hard. What happens if some card is released that is too powerful – which will happen inevitably? How does the development team keep the game balanced? The developers propose a plan that seems… bizarre. They suggest using a “balancing beta”, which is a one-month period during which cards are still nerfable, and are not tradable. This happens after every set release. While this seems reasonable, there are many important questions that need to be answered. 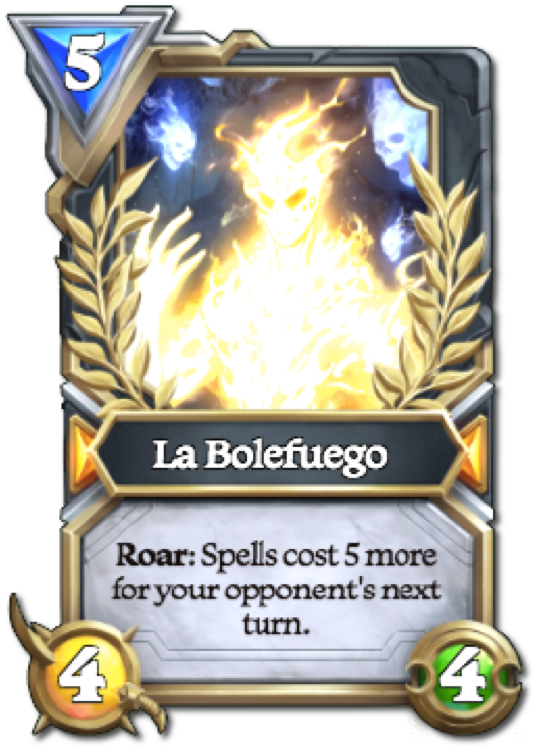 Will “balance beta” cards be available for competitive play? Are the “balance beta” cards going to be available on the live server, or is this a separate server? There are a ton of logistical challenges to either solution. Won’t the lack of trading make it much more difficult for players to actually test cards? For example, imagine there is a busted combo deck that uses both Legendary A and Legendary B. How many people will actually have access to this deck for the purpose of testing it? What is stopping competitive players from finding new and powerful decks, hiding them until the beta is over, buying up all the key cards in the deck, revealing the deck, and then selling the cards? Or maybe competitive players won’t rigorously test the cards because they “will just get rebalanced in a month”? There are some seriously strange incentives for top players during this beta time, which could screw up the balance data. What is stopping a “second level” balance problem, where the metagame is unhealthy after the balance changes because of a different problem that was hidden by a first balance issue? There are serious issues to either creating a quicker iteration cycle within the month, or by extending it to a longer cycle. 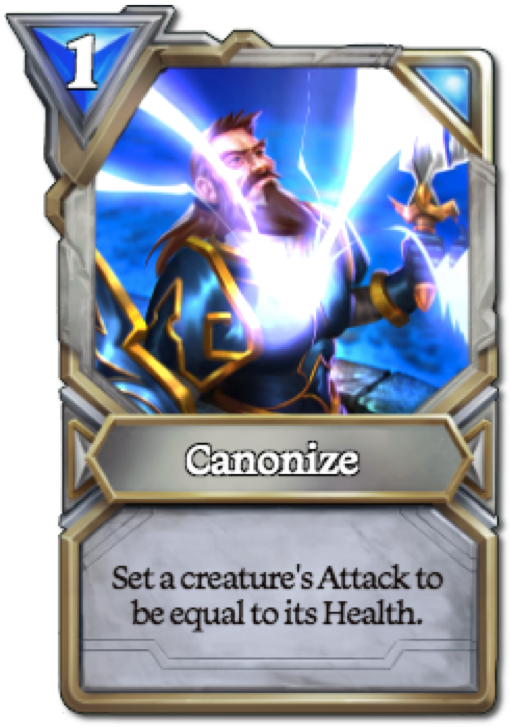 Does this one-month beta period really protect players from the downside of card nerfs? Imagine you are hot for the new card Alpha-Dragon. You buy a bunch of packs so you can get your copies and play with them during the beta period, and Alpha is just as good as you hoped. At the end of the beta, Alpha-Dragon is nerfed to Beta-Dragon, which is much worse. How is this experience so much better than having a card changed after it is on the market? What happens if something does slip through? Some deck that is totally broken? What measures will be taken to deal with this? Bans? Doesn’t that compromise the spirit of “immutability”? Doesn’t a balance beta violate the spirit of “do what you want with your cards”? The website claims that you should be able to buy/sell/trade your own cards, but don’t they really mean buy/sell/trade cards a month after release? This may seem like a nit-pick since a month isn’t that long, but the majority of the volume of buying/selling/trading cards happens in the first month after release of a new set. Once again, I feel like this violates the spirit of promises made elsewhere. I could go on critiquing this Rube Goldberg approach to balance, but I’ll spare you. Yes, I am giving them a hard time, but balance is really important! If the balance is bad the game will be miserable, and it doesn’t matter how fancy your back-end technology is! Every time I think about alternative implementations of a balance beta, my head starts spinning with all of these possible problems. It feels like “balance beta” came up in a brainstorming session one day, the idea stuck, and no one took the time to process the implications. Immutability has some problematic implications for competitive game balance, but what about scarcity? Gods Unchained promises that some cards will be deliberately scarce, where only a fixed number exist. If that is true, how will this effect competitive play? Obviously, it depends on the definition of “scarce”. As you can imagine, a cap of 10 million copies of a given card is not meaningfully scarce, but in that case advertising a limit on card availability isn’t fully honest. Alternatively, if there were only one or two hundred copies of a limited-print card then there is a meaningful limitation on availability. This meets the goals of collectors, but compromises the competitive aspects of the game since not everyone will have access to the same cards. Of course, it is possible that premium skins and cosmetics would be the element that is scarce, but this isn’t clearly stated from what I have seen. Fuel Games has a remarkably ambitious agenda on their hands, even if we assume there are answers to all the questions discussed above. As I touched on above, there is some precedent for failing to deliver on their promises, according to the Etherbots players that I talked to. First, let’s take a look at their team, which they describe as “game design experts, game economists, and legendary streamers”. You can find their squad on the “About Us” page of the Gods Unchained site, though it is unclear if this is a complete list. According to this page, there are 8 people involved in development or game design, with the other 16 being involved in illustrations, animations, and community management. Two of the developers listed on the page are James and Robbie Ferguson, who are the founders of the company, meaning that they may not be working full-time on game design. I Googled the others listed, and there isn’t exactly an over-abundance of game design experience. ADWCTA is a moderately successful Hearthstone streamer. James Wakeham and Calum Spring worked at a small game developer called “Cardboard Keep”, though it appears that they might still work there, too? I couldn’t find any information about the rest of the team. It should be noted that there is no one listed as being a programmer, which seems important for a game using relatively innovative technology. Anyway, let’s take a look at the plans this group is trying to pull off. Let’s start with the Apollo Platform. As I understand it, this will be a Steam-like platform designed for blockchain games, which aims to solve some of the problems with Etherbots, such as high transaction prices. While this roadmap promises the Apollo Platform would be out Q1 of 2018, as far as I can tell it has not yet been released. Perhaps it is fully operational, but not available to the public yet? Even if this were the case, it has certainly not been stress-tested for use in a competitive game out in the wild. Let’s continue. The follow-up plans include a Beta launching this year, as well as a starting tournament early next year. There are actually some similarities here with Valve’s plans for Artifact, who are planning a beta in October, a release at the end of November, and a 1-million-dollar tournament in Q1 of 2019. The similarities don’t end there, as Artifact will also offer a marketplace allowing you to buy and sell cards. In fact, let’s do a bit of head-to-head comparison of these two games, as I think it is instructive. ﻿It may seem harsh to compare Fuel Games to Valve. One is a tiny start-up, while the other is a massive, successful brand. Well, you know what? If you don’t make goals that look like the goals of a major studio, then I wouldn’t make the comparison! Let’s do a comparison to another company that I am familiar with. Dire Wolf Digital (DWD) is a small-to-medium sized developer based in Denver that makes the card game Eternal, and worked extensively on The Elder Scrolls: Legends. Eternal’s closed beta began in the spring of 2016 and moved to open beta in the fall of 2016. Only last week did they announce a plan for organized play, which involves a $100,000 prize pool. It took over two years between open beta and the first major tournament for their game. While some may say Eternal was slow in rolling out competitive play, this provides a more attainable roadmap than what Fuel Games is proposing. Even comparing DWD to Fuel Games seems unfair, given the size and experience of DWD’s team. DWD’s staff of over 100 people includes some of the greatest Magic players and deckbuilders of all time, and many people with a long history in the game design industry. Fuel Games’ goals look like those of Valve, but they seem to have less manpower than DWD, making me quite concerned about their ability to deliver. While my primary concerns about Gods Unchained is at the level of game design, there are some other issues I am concerned about. For one, investing in Gods Unchained is effectively requiring players to buy into a high-risk investment. All transactions in Gods Unchained take place using the cryptocurrency Ethereum, meaning that assets are valued in Ethereum, which is a high-risk investment. “Investing” in card games is already a risky proposition, given the steep decline in value one typically sees for most cards, but card values are usually measured in traditional currencies, which are stable investments. Take the Canadian dollar, for example. The peak value of the Canadian dollar over the last year was .82 USD, and the lowest value was .75 USD, meaning if you made the worst possible exchanges in the last year and bought Canadian dollars at .82 USD, and then sold them at .75 USD you would have lost about 9% of your investment. Now let’s repeat that exercise for Ethereum, but focus only on the last week (this is written September 13, 2018). The one-week high was 234 USD, and the one-week low was 168 USD, meaning you would have lost about 28% of your investment. That is over 1/4 of your investment. If I were to repeat this exercise for the last year, the maximum possible loss is approaching ninety percent of your original investment. I understand that cryptocurrency trading is high-risk, and I have no problem with that. If people want to invest their money in Ethereum then they know what they are signing up for, but I worry that players signing up for Gods Unchained might not understand this risk. It may not be totally obvious, but your collection value will be closely linked to value of Ethereum, rather than traditional currency, even if you don’t hold any Ethereum yourself! Your purchases and trades will be done using Ethereum, meaning values will be tied to Ethereum rather than dollars. Why don’t prices remain tied to dollars instead? Imagine the price of Ethereum is valued at $200, and you have a card worth 1 ETH. Over the course of a month the value of Ethereum falls by 50%, meaning the value of Ethereum is now $100. Would your card now be valued at $200 and 2 ETH, or $100 and 1 ETH (assuming the demand for the card is unchanged)? I think it will be closer to $100 and 1 Ethereum, since the price of packs is in Ethereum. Someone who is buying cards at the $100 ETH price would find it much less expensive to acquire the card compared to when you purchased the card. This is simple supply/demand economics, where the cost of production has fallen by half. Obviously, it is possible for Ethereum to go up as well, causing your collection value to go up, but even that has potential risks! If the cost of packs doubles you may no longer be able to afford buying more packs, forcing you out of the game. This problem is much less serious than the first problem, but it is still worth mentioning, especially since high Ethereum prices could drive away new players. Potential customers need to be adequately informed about these risks! What happens to your Gods Unchained collection if ETH just collapses? While I understand the rationale behind tying Gods Unchained to Ethereum, the developers should put more effort into articulating the risk of investing in cryptocurrency. There is some mention of the risks associated with blockchain assets buried in the terms and conditions, though I saw zero references to investment risk on their “buy cards” page, while I saw three references to the exclusive nature of the Genesis cards. Issues with the economics don’t end there. There are a couple of spots on the site where they claim that the game will be free-to-play, though their approach to free-to-play is perplexing. I will spare you a rant on how to define “free-to-play”, but the oversimplified explanation is “just because there is a free version of a game, doesn’t make the game truly free to play”. Apparently, Gods Unchained will have a free base set as well as a weekly rotating “free” card list? While an interesting idea in theory, it is unclear how this list will be determined. Is it just a random collection of cards? How does that translate to functional decks? Won’t this destabilize the economy and the metagame? I also feel like free-to-play players will have no chance in the competitive scene, as it would be basically impossible to have a complete top-tier deck. This also seems like it is generating an incredible amount of work for the design team, which appears small as I mentioned earlier. Like the “balancing beta” problems discussed above, this comes across as an idea that came out of a brainstorming session, but was never really planned out. Next, let’s talk about the investors. Close to the top of the home page there is a list of partners/investors that are prominently displayed, which is strange for a gaming company. It is probably nice to get money from Continue Capital or whoever, but I don’t understand why that is relevant to a potential player who is looking to learn about the game. These are displayed like badges of legitimacy, encouraging you to trust the game developers. Let’s run through each of these quickly, and I will let you decide how much legitimacy they lend given that we are talking about a card game. Continue Capital is a cryptocurrency/blockchain investment group, who do not seem to have any obvious experience advising video game development. Nirvana Capital is also a cryptocurrency/blockchain investment group, who likewise do not seem to have any obvious experience advising video game development. Same with Sora Ventures. Coinbase is a cryptocurrency exchange, and while they have some additional legitimacy given the outward-facing nature of the organization, I don’t believe they have any experience in advising game design companies. OPSkins is interesting, as they are a company involved in trading cosmetic items on Steam. They gained attention from their involvement in lootbox gambling, which lead to a legal tussle with Valve. Open Sea and Rare Bits are both marketplaces for trading blockchain assets. While I suppose it is useful information that Fuel Games is working with these investors and exchanges, none of this really helps convince me that the actual gameplay will be good. Is the purpose to convince potential customers that is more professional than it actually is? Finally, let’s loop back to the 10% kickback from the referral link usage. There are a lot of games that offer some kind of bonus for recruiting in your friends. I don’t think there is anything unhealthy about this, but never have I seen anything that resembles the system used by Gods Unchained. Most importantly, the bonus is in Ethereum. Not packs, not cards, but cryptocurrency, which can be turned into traditional money. Every $10 your buddy uses buying cards in the game while using your referral code makes you $1 (edit: this is linked on a per-purchase basis, not permanently as mentioned before). Many games offer an in-game bonus for using a referral code, but that is almost always extra cards or cosmetics. When the benefits are just cards the stakes are lower, and you need to actually play the game to benefit. For Gods Unchained I could hand out referral codes in the hopes of being paid even without playing the game myself! This leads to some seriously messed up incentives for influencers who can share their referral codes without disclosing their financial connection to the game, since they are not technically sponsored. It also seems like you could just set up a smurf account, give the referral code for the smurf account to the main account, and pocket that 10% referral bonus for yourself. By telling someone “you should use my referral code” you are functionally scamming them out of their money, since they could have kept that 10% referral bonus for themselves. While Fuel Games is not responsible for the actions of all their players, I feel as if the referral system encourages some unsavoury behavior. I am not 100% certain this is how the referral system functions as I have not tried it, but it seems to make sense given the information provided. Untangling Gods Unchained has been quite the project. While I am sure there is a game being made, there are a plenty of problems that need to be addressed. Is it a scam? Probably not. I think there is a game in there somewhere, though their economic model looks sketchy, the cards are badly designed, and the team seems insufficient for completing their extremely ambitious plans. Personally, I wouldn’t buy into the game now, no matter how exclusive the cards are. Maybe you’ll miss out on some limited-edition stuff, but is that worth the downside risk of your investment being worthless? 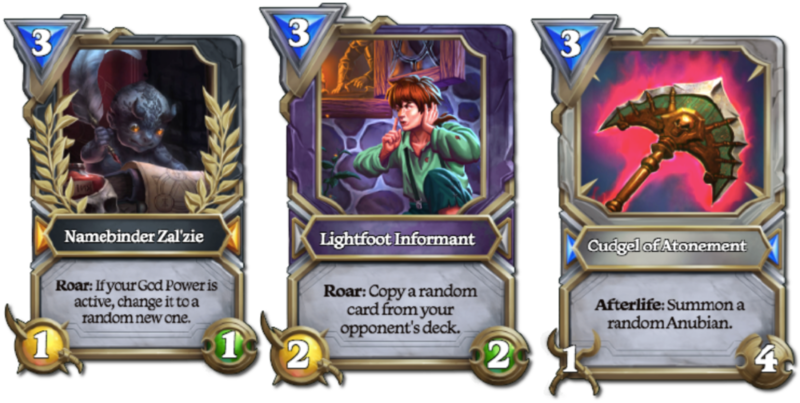 While I understand the drive to stay on the leading edge is alluring, do you really need to dump your money into what might be a sloppy Hearthstone clone? I know there are more important problems in the world than card games with bad card files, but I have not seen a serious critique of this game, and I felt potential customer should be informed about the risk. If I were someone who has already bought into the game, as either a player or investor, I would be asking serious questions. Why are there so many cards that look like Hearthstone cards? What are the actual plans for the balance beta? Do you have the manpower needed to achieve all the goals laid out on the website? What happens to the game if the price of Ethereum continues to fall? It feels as if the health of the game really relies on the answers to questions like these. If you are a crypto-gaming enthusiast you may find this piece uncomfortable, but if you really want crypto-gaming to succeed it is important that new content is high quality! A potential customer who sees a game like Gods Unchained may be turned off from blockchain gaming forever. Hopefully you found this interesting, whether or not you were thinking about getting involved in Gods Unchained. Even if you weren’t planning on buying in, maybe this provides some useful questions to ask when thinking about investing in a game built around some technology fad. If you aren’t familiar with my work, you can check out some of my other content, such as my article/video on card game economics, or my videos on the “Mysterious Metagame” or the “Nexus of Fate Bubble”. You can follow me on Twitter, or follow the A+Space Twitter/Facebook page to send me your thoughts and feedback, as well as comment on the Reddit thread! Thank you for joining me, and I hope to see you again soon!